Who hasn't played Parcheesi before? That name might not ring a bell, but what if I say Ludo? Now, that's better. 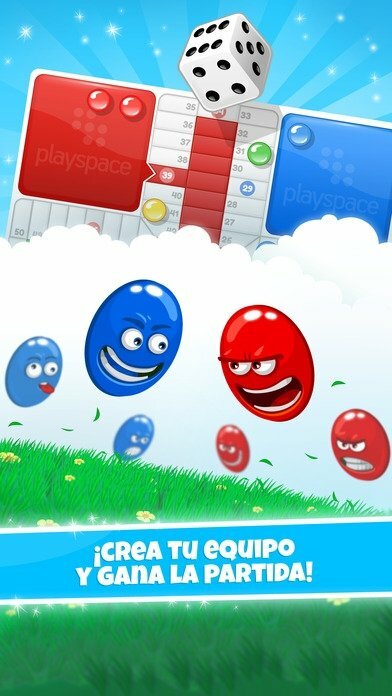 This game born in India is great fun, especially if you play against somebody who gets angry when they lose. It's not only cool to win, but also to kill your rival's counters, block the moves of your opponents or simply be a pain in the neck. Whoever said that the important thing was to participate had obviously never played Parcheesi. Not for nothing in German and other languages its name can be translated as "Man, don't get irritated". You can experience all the pleasure of killing counters and the frustration of having yours sent home. 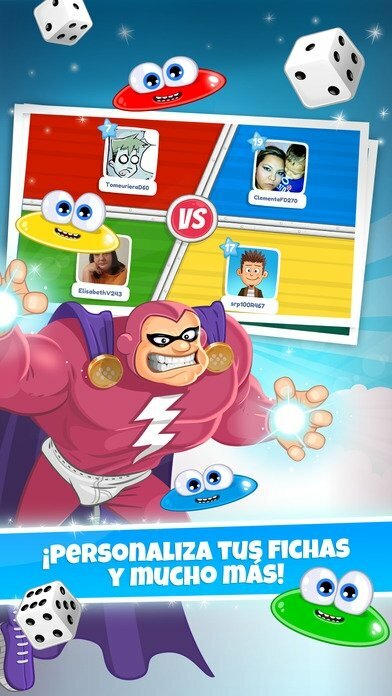 As you can imagine, this Parcheesi by Playspace, an iPhone and iPad adaptation that allows us to play online against our Facebook contacts, is absolutely brilliant. The only problem is that we won't be able to see the angry face of our rivals when we beat them. Although it also works the other way around. 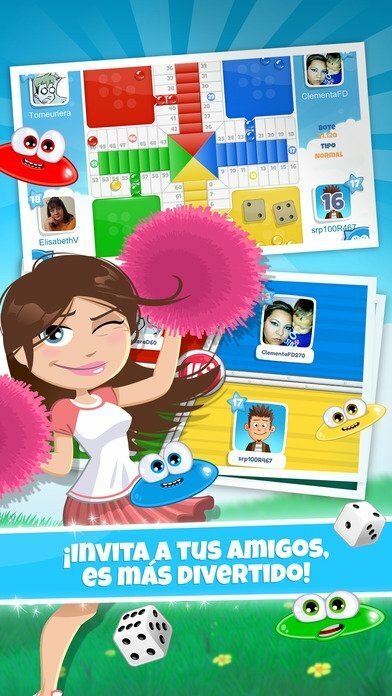 Well, you can challenge all your friends on this social network to play a few exciting games at any point. It's great because it's totally free and we all know the rules. 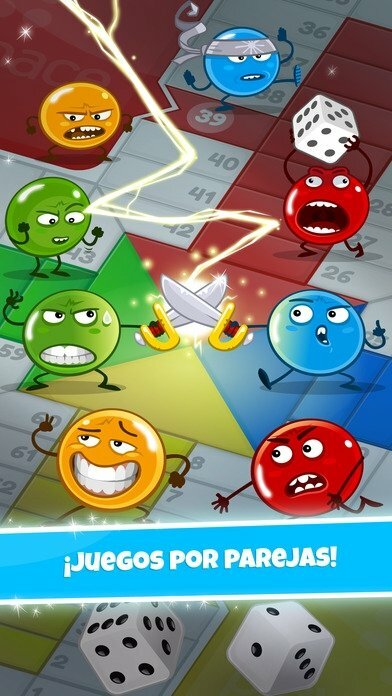 So don't think twice, download the app of this game and have fun playing one of the most classic and entertaining board games around. Different types of special games: by couples, turbo, and private matches. Unlock achievements to receive coins and gifts. 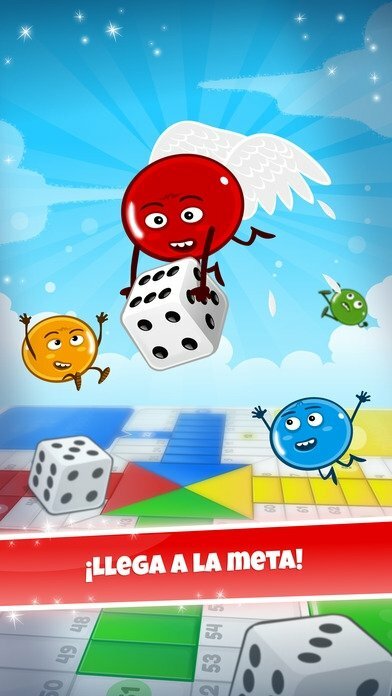 Customized entertainment: dice, counters or the board can be changed to your own liking. Take part in the world ranking.